I am finally in holiday and cookie baking mode. The temperature has dropped to about 20-somethingºF here, and all I want to do is hibernate and bake (and eat) indulgent things, and order christmas presents online. My decorations are slowing making their way out of storage, and I am well stocked with wrapping paper, tape, and little boxes to hand out all of the extra cookies I am going to be baking this year. 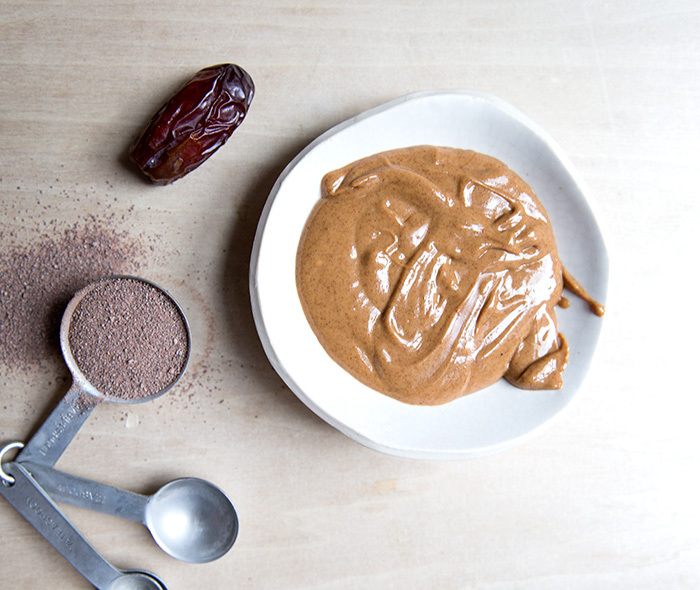 It's no secret, I am a little in love with the chocolate - hazelnut - almond butter combo. I'll take it any which way I can get it. In the form of a smoothie, a cake, or even these guys that I made recently, but now that I am in the holiday baking mode, I think it is most appropriate that I use my favorite sweet ingredients for cookies. I love a GOOD cookie. I have a habit (and you might too) where once or twice a week, I sit down with a cookie and a cup of coffee at about 4:00 in the afternoon. It's my little treat to myself. When I indulge, I like all kinds of cookies, from crunchy chocolate chip, to super soft oatmeal raisin, but my favorite kind of cookie is one that is super tasty with a little bit of the guilt shaved off. Guilt in the form of loads of refined sugar and butter. I love to feel like I am being bad without actually being that bad. This cookie, is that cookie. These thumbprint cookies are full of crunch and flavor, all sort of things that are good and nothing that is bad. 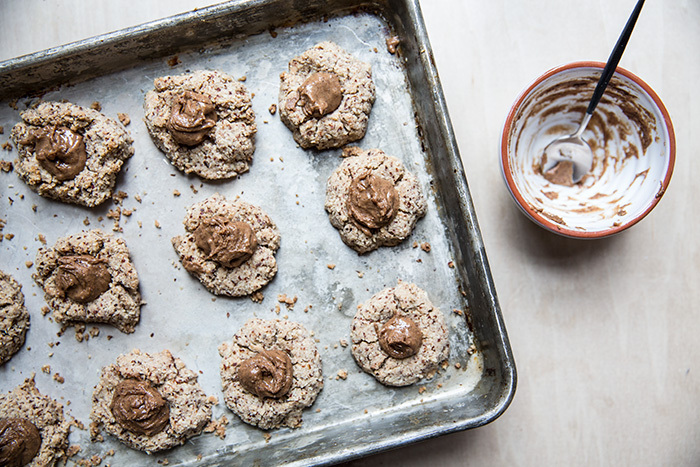 They are made without refined flours and sugars and butter, just a short list of wholesome ingredients like ground hazelnut flour, maple syrup, coconut oil, cacao, and of course, almond butter (yum). 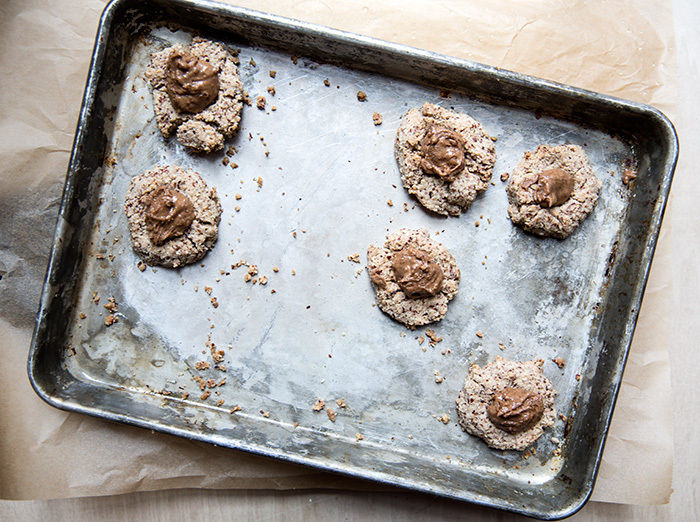 I like to think of these cookies as a really tasty vehicle for shoveling almond butter + chocolate into my mouth. Recently, the best place to find me would be standing in front of my refrigerator with a spoon in a jar of almond butter. This is new to me. I've officially crossed over to the dark side. Please tell me you've been there too. 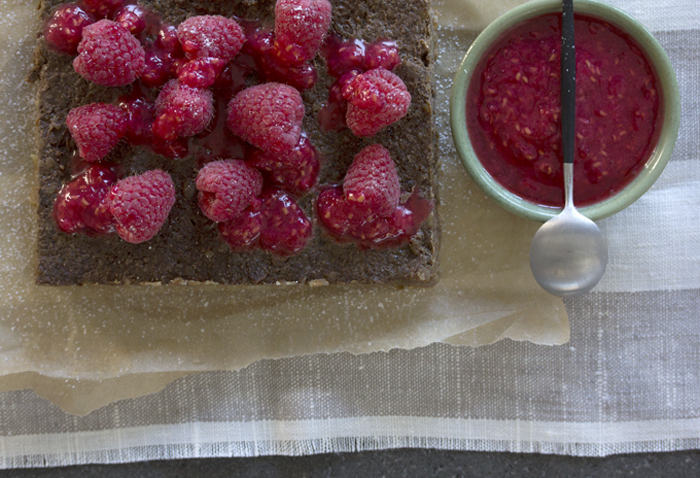 This love for almond butter crept up on me slowly until it became a full-blown obsession. Now, my day is not complete without a scoop of almond or peanut butter in my mouth. I've been trying to come up with different ways to feed my all my AB/PB cravings. I'll have a scoop of it over some banana after a workout, I smear it over some apples for a mid-day snack, I make it in a smoothie with cacao and mint and have it for breakfast, and I eat it straight out of the jar .... oh sorry, I've already mentioned that. 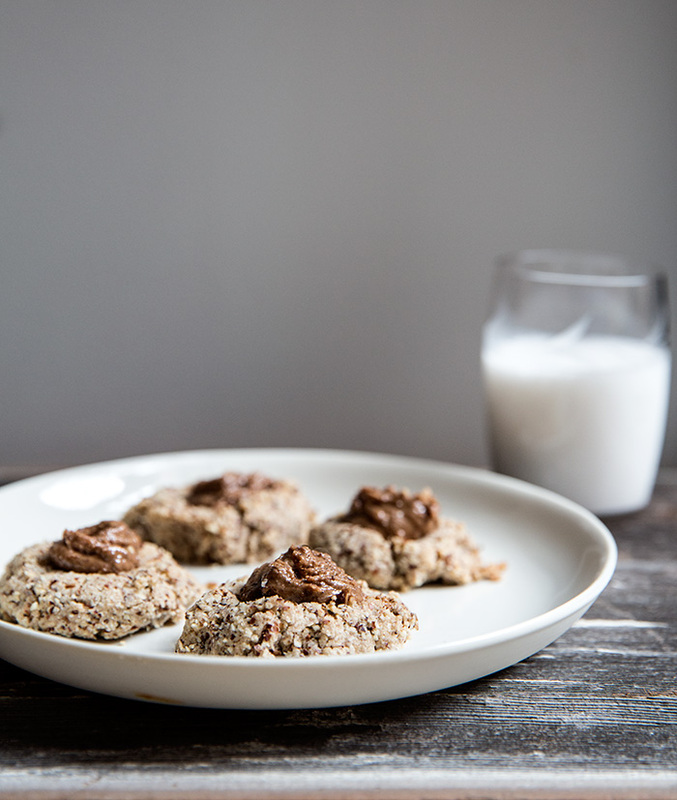 I've been trying to come up with another way that I can devour my favorite treat, and I decided I wanted something that incorporated not just almond butter, but my favorite things to eat with my almond butter. I thought about dipping bananas into some sort of almond butter chocolate concoction, then I thought, sure that would be great, but how often am I going to make that. Then, the light bulb went off. I can just blend everything together and make fun little bite sized snack things. Simple. Easy. Yes! You know what is awesome about these bites? I can eat them for breakfast and I pretend like I am being really bad, but actually I am being really really good. Give me one of these little bites over a muffin any day of the week. In fact, give me 7. 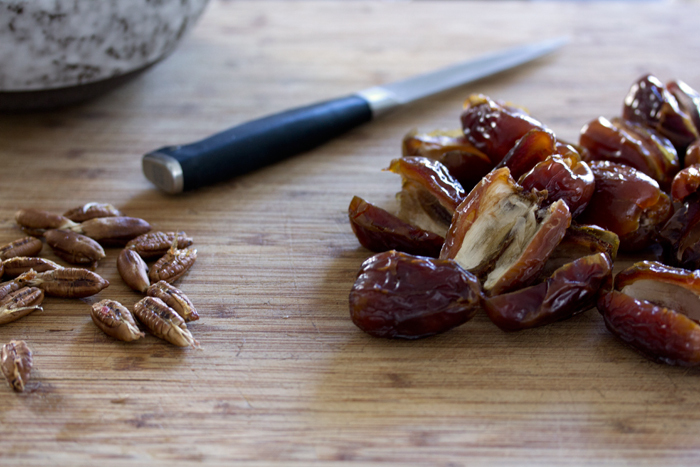 These also make awesome snacks, as well as dessert that you can bring over to a friend's house. 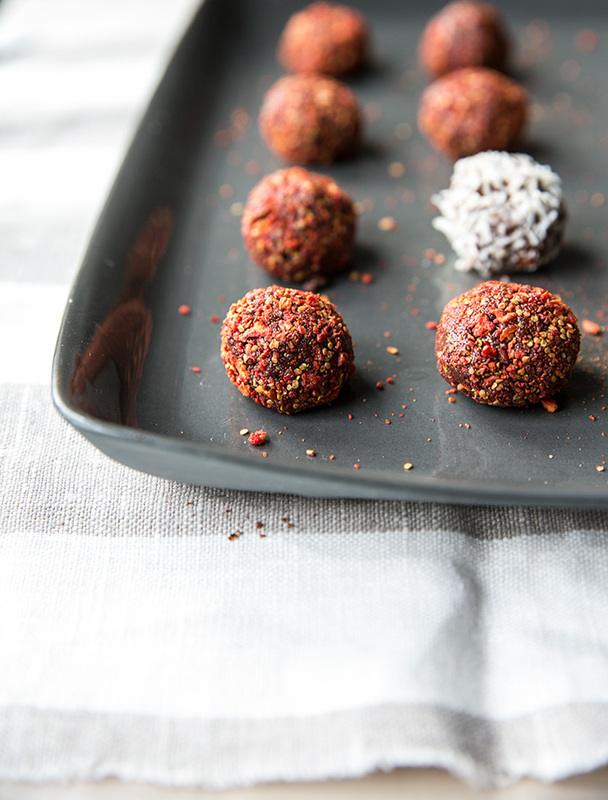 Loaded with vitamins and antioxidants, this could be one of the healthiest and tastiest little bites you will ever put in your mouth. 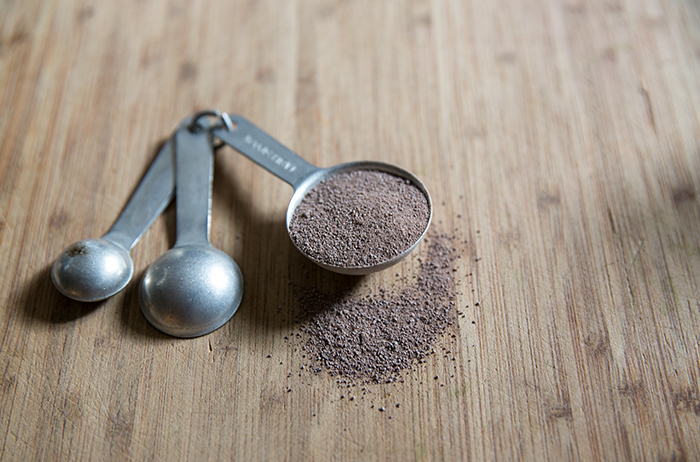 Be sure to adjust any ingredients depending on the amount that you are going to eat out of the jar/blender. If we're anything alike, you probably pretend that you don't care all that much about Valentine's Day, but deep down you love it and you're secretly hoping for a surprise delivery of big, beautiful bouquet of flowers. When I was single, sometimes I would hope that some really hot guy like ..... say ..... Bradley Cooper would send an enormous lovely bouquet of flowers to my work. You know, because stuff like that happens on Valentine's Day all the time. Now that I am happily married, I still pretend like I don't care all that much, and I still secretly hope that Michael will surprise me with flowers, or a food-related thing. And he does. He always does well. I love Valentine's Day. It's a holiday about love. It's another reason to show the person/people in your life that you love them. It does not have to be a romantic type of love, it can be a friendship love, a parental love, an animal love. Celebrating love is a wonderful thing. I think one of the best ways to show someone you love them it to make something for them. And when that something is raw, vegan and loaded with super healthy vitamins and antioxidants, well then you are spreading extra special love all around. 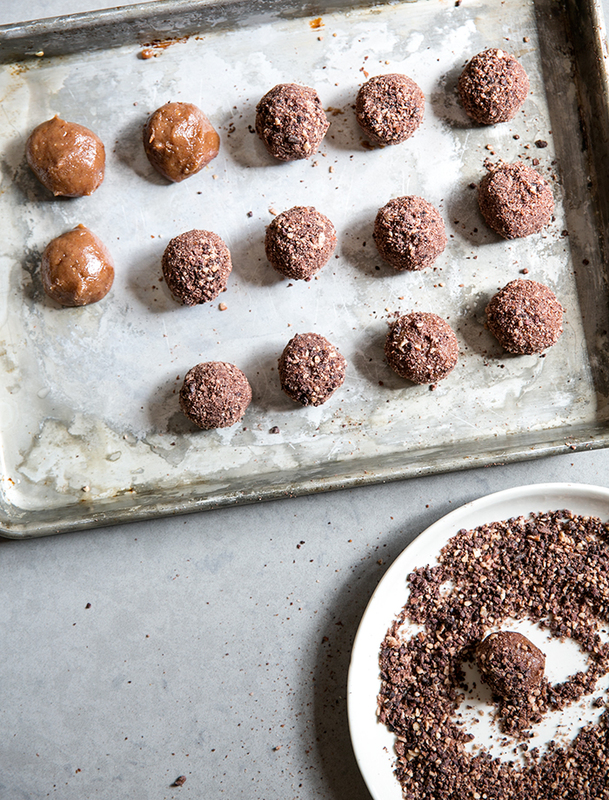 Nothing says "I love you" like homemade chocolate truffle rolled in a powerful aphrodisiac. Yes you heard me correctly. 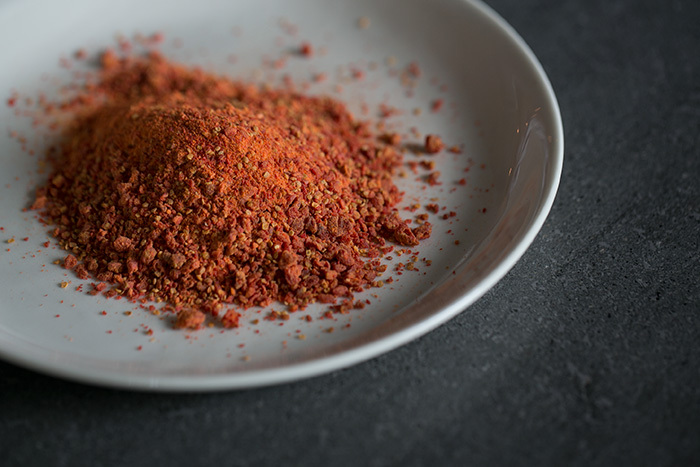 Goji berries are known in Asian herbalism not only for their high antioxidant content, but also for their aphrodisiac qualities. 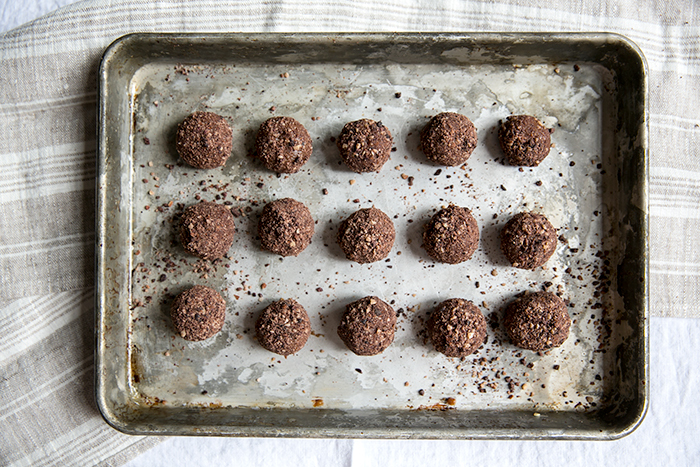 Every single ingredient in this truffle is a super ingredient with superpowers. 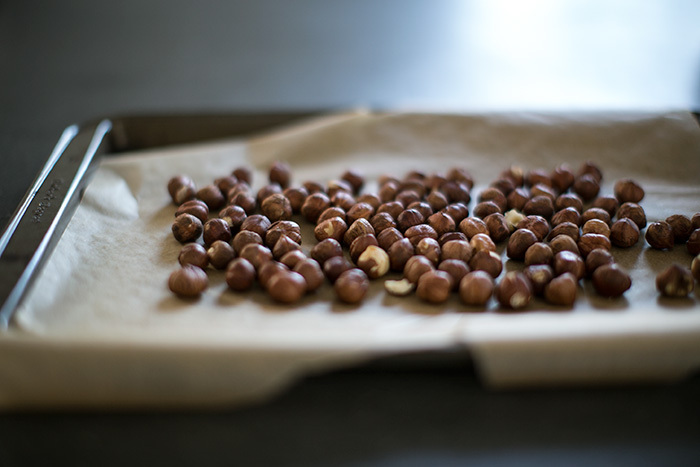 Cacao, cinnamon, coconut oil, and hazelnuts are all great for us, especially when consumed raw. 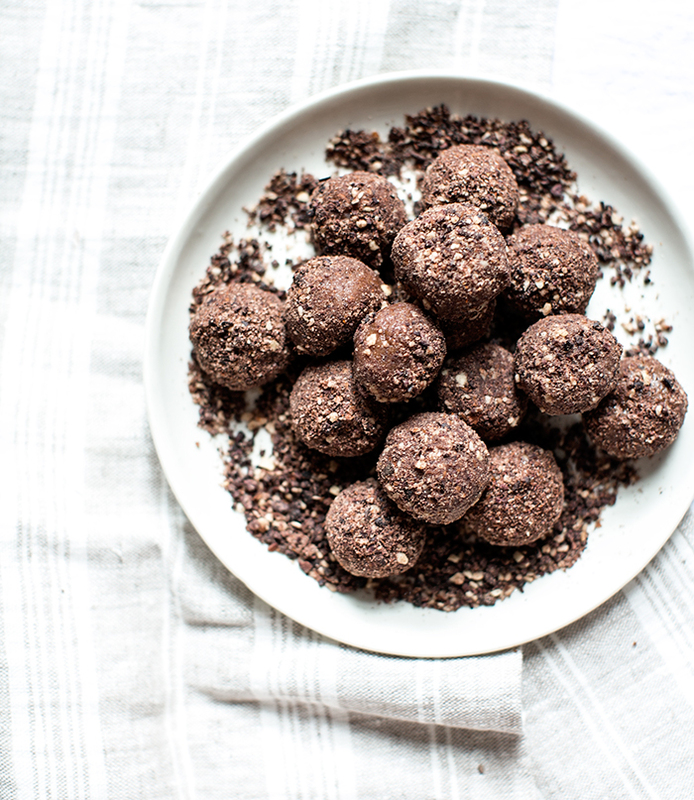 I cannot think of a better gift than a homemade truffle that is as chocolatey and tasty as it is good for you. truth: raw cacao (like the kind you use to make these brownies) has the highest amount of antioxidants per serving of any "superfood"